1-800-595-1474 is the number to call for a free consultation. Ocean Pacific Capital has been in business since 1975 and have extensive experience financing mobile home parks. 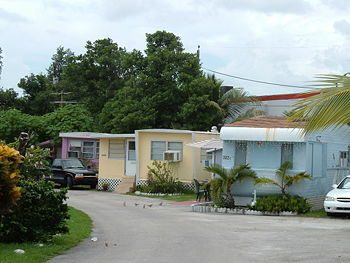 To many mobile home park owners, the “star” rating system may be a mystery. If someone has told you that your mobile home park is rated "5 stars" what does this actually mean? No other type of commercial property has a history of using this quirky practice of grading with a 1-5 star rating. 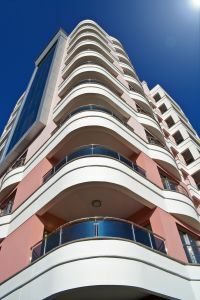 It is important to know the history behind this rating and understand how star ratings affect you as a mobile home park owner, investor, or builder. The history behind this unique practice is surprisingly unknown to most in the commercial finance and mobile home park industries. The rating system is actually a holdover from an old mobile home park directory that was published out of Chicago in the fifties, sixties, and seventies by Woodall Publishing. Although citing star ratings is still commonplace, the actual directory that originated the rating system has not been in publication for more than 25 years. It is important to know that the star rating was never intended as a measure of investment quality, rather as a guide to the level of services available at one park compared to another. The truth is, there is no nationally recognized standard to grade mobile home parks. Outlined below is a how the original article classified the different mobile home park ratings. 1C. Grass, rocks, or shell to cover ground. 1D. Streets fair to good. May be dirt, asphalt, or gravel in reasonable condition. 1E. Restrooms clean, if any. 1F. Adequate laundry or Laundromat nearby. 1G. If fences allowed, must be neat. 1I. Homes may be old models, but show evidence of some care. 1J. Manager available some hours of each day. 2A. Landscaping--some lawns and shrubs. 2B. Streets in good condition. Must be dust free of crushed rock, gravel, or shell minimum. 2D. Well equipped laundry or laundromat nearby. 2E. 220-volt electrical connections available. 2F. If children accepted, park should have play area. 2G. Park free of clutter, such as old cars and other abandoned equipment. What a three-star park does, it does well, but not as uniformly as higher rated parks. Many three-star parks were once rated higher, but original construction does not allow for today's 10-foot, 12-foot, and double-wides, or the 55-foot and 60-foot lengths. If children are allowed, there should be adequate play area. However the disarray caused by children may at times be the determining factor that keeps a three-star park at that level when it otherwise could be rated higher. 3B. All mobile homes must be in good condition. 3C. Awnings and cabana rooms on some homes in southern area. 3D. Some spaces for large mobile homes. 3E. Paved or hard surfaced streets. 4B. Most homes skirted with metal skirts, concrete block, ornamental wood, or stone. 4C. Paved streets, edged, or curbed. 4E. Underground utilities if permitted by local conditions and authorities. 4F. Most tanks, if present, concealed. 4G. Any hedges or fences must be attractive and uniform. 4I. Most lots to accommodate large homes. 4J. Where row parking of homes exists, all must be lined up uniformly. 5A. Well-planned and laid out. Spacious appearance. 5B. Good location in regard to accessibility and desirable neighborhood. In some locations park should be enclosed by high hedges or ornamental fence. 5C. Wide paved streets in perfect condition. Curbs or lawns edged to street, sidewalks, street lights, street signs. 5D. Homes set back from the street. 5E. Exceptionally attractive entrance and park sign. 5G. Paved off-street parking such as carports or planned parking. 5I. All hitches concealed. Any existing tanks concealed. 5J. Recreation, some or all of the following: swimming pool (except areas with long, cold winters), shuffleboards, horseshoe pitching, golf course, hobby shop, hobby classes, games, potlucks, dances, or natural recreation facilities. 5K. Beautifully equipped recreation hall with kitchen. Room for community gatherings. Tiled restrooms, etc. 5L. Uniform storage shed or central storage facilities. 5M. All late model homes in excellent condition. 5N. At least 60% occupancy in order to judge quality of residents which indicates park's ability to maintain a five-star rating between inspections. 5O. All empty lots grassed, graveled, or otherwise well maintained. 5P. If pets or children allowed, there must be a place for them to run and play without cluttering the streets and yards. Most five-star parks are for adults only. 5Q. Superior management interested in comfort of residents and maintenance of park. There are several elements to this rating system which are out of date. Not the least of which, an average park will often be described as a "three-star park." However, if you look at the above descriptions, a three-star rating by the actual Woodall criteria would be a below average property by today's standards. For this reason, when someone uses the star rating to describe a park, do not believe that it is based on any current system or fact. It is merely the opinion of the person using the term. Don't be fooled into thinking there is a higher authority somewhere doling out stars. You need the trusted experience of our company on your side, to guide you through the entire process of mobile home park financing and avoid the pitfalls of misinformation. Simply call us at 1-800-595-1474 for a free consultation onw how you can receive the best mobile home park financing for your scenario.